​We are pleased to announce same day plumber service and 24 hour plumbing to our clients in Lexington Park and all of Southern Maryland! Lexington Park is a pretty big city for Southern Maryland. There are several Maryland plumbing companies that service the area, but not all of them are actually local. Some are based way up north and could take hours to get to you and some don’t have clearance to work on base housing. A Better Plumber is not only local and has base clearance, we have 24-hour emergency plumbers on call and can be at your house within 45 minutes. If your hot water heater has stopped producing hot water or is simply not heating up water as efficiently as it used to, we can help. Standard tank? Tankless? Gas? Electric? 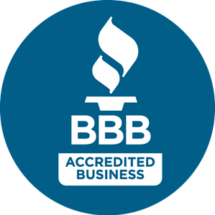 Our licensed Lexington Park plumbers have the skills and training necessary to service and repair any water heater type or brand! Have a water heater that is past the point of repair? Looking to upgrade an old and inefficient unit? We proudly offer fast & affordable hot water heater installation service in Lexington Park. In most cases we can dispatch a plumber the very same day you call, at a time that’s convenient for you! The entire process only takes a few hours and we will even haul away your old unit for you free of charge! You have a brand new gas stove and you are upgrading your heating system to natural gas but you have no idea where to start hooking things up. Have no fear, A Better Plumber is here. We have expert installers that will do the gas line install for you saving you time and money. Whether it is a sewer line leak where your home’s lines attach to the main line, or it’s a line under your house, we can provide all of the sewer services you could possibly need. We even have the 24-hr emergency plumbing line for those major hitches in your day. We have the newest and best equipment to take a look at your lines and find the exact problem spot and fix it with minimal invasion of your home and landscaping. We all know living in Southern Maryland put us in the flood zone being so close to sea level and the weather can sometimes bring more water than our yards are prepared to handle. If you have a crawl space or finished basement, the last thing you need is six inches of water taking over that gorgeous new carpet or filling in the space around the foundation of your house and creating cracks in the concrete. This is where your sump pump comes in. We can do a free inspection to make sure it’s in ideal operating condition before the wet season, and we can fix it if it’s not. We can also put in a battery backup for those storms that bring the water in and take the power out. We also know the zoning codes to make sure your sump pump is the right size for your house and location. When your gas lines get old, holes and kinks can take up residence and wreak havoc on every appliance in your house that runs on gas. Give A Better Plumber a call to repair those lines and save your appliances and keep fires from sparking. We can be in and out in no time. Remember those Legos and that hand towel you were looking for last week? And notice that one of the toilets isn’t flushing anymore? Thanks to your pet or toddler, it’s time to call the one Maryland plumber who has been there done that for a toilet repair. We can unclog the line, replace or repair the chain your child took off to use as a wagon hitch and we can always relate to the issue. Give us a call at 301-278-8786 and let us come fix your toilet so you can get back to chasing the kid and the critter.